The following Enterprise courses are being offered for Fall 2o16. New courses are indicated with (*). ENT2961 Teaming in the Enterprise: Develops group problem-solving skills. Stresses interpersonal skills and skill assessment, communication, group process and teamwork, and action planning. Uses active, hands-on learning. *ENT3953 Ideate, Innovate, Create! : Whether starting a business or working for an established company, creativity and innovation are keys to success. Course will explore creativity tools and techniques such as design thinking and human centered design to help generate ideas that provide value to society. ENT3954 Enterprise Market Principles: Examines the fundamental principles of marketing in the six stages of product life cycle (opportunity identification, product development, introduction, growth, maturity, and decline). ENT3956 Industrial Health and Safety: Instruction of health and safety in engineering practice. Integrates the study of health and safety regulations, risks, and potential for improvement. Also covers the tremendous financial, ethical, and public relations implications of disregarding this critical aspect of engineering. 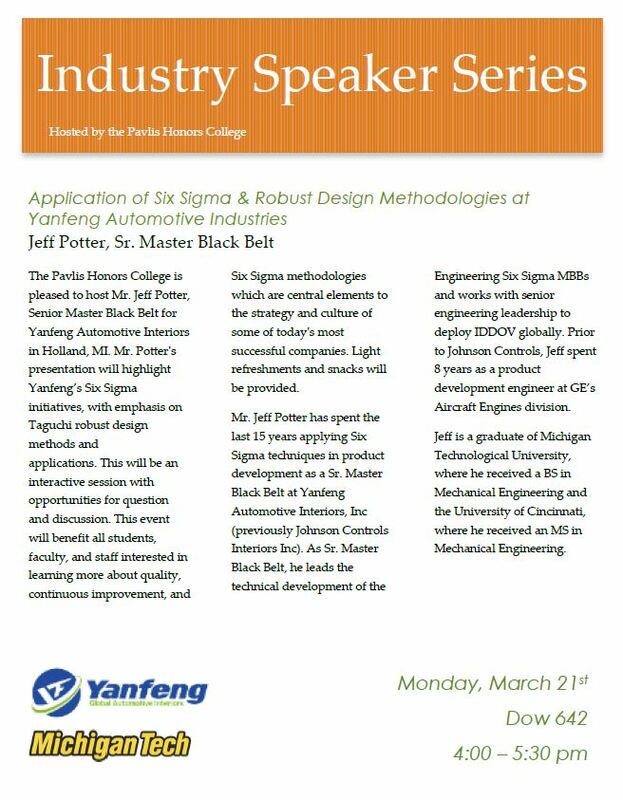 ENT3958 Ethics in Engineering Design/Implementation: The focus of this course is on ethical considerations in the engineering design and implementation process. 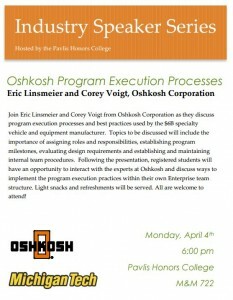 Basic ethical analysis tools will be explored through various exercises. 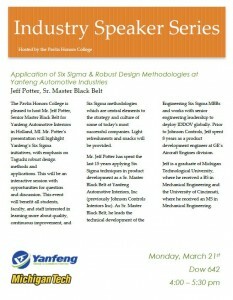 Students will analyze and present life engineering ethics case studies. ENT3959 Fundamentals of Six Sigma I: This course introduces tools used for process improvement focusing on the DMAIC approach used widely in industry today. *ENT3963 Explore, Develop, Execute! (formerly Technology Commercialization): If you have an idea that you believe addresses a need and could lead to commercialization, this course will help you to explore the path from idea to market through customer development, value assessment, business model planning, and execution. ENT3964 Project Management: Project definition, developing a work breakdown structure, responsibility assignment and milestone development. Covers techniques for project scheduling and practical application of Gannt and PERT/CPM charts; resource management and application of critical chain method; project budgeting and cost estimation; project monitoring, control, evaluation, and termination; and project teams, their structure, and interactions. *ENT3979 Alternative Energy Technology: This course covers a wide range of alternative energy technologies with an emphasis on chemical and biochemical processing. Technologies covered may include biofuels, solar power, fuel cells, etc. *ENT3982 Continuous Improvement Lean Principles: Fields from engineering through the social sciences are adopting continuous improvement using Lean principles to make their organizations successful. The evolution of these principles and the associated processes, methods, and tools are described and applied. *ENT3987 Naval Systems and Platforms: Learn how system engineering is used throughout the product lifecycle. Semi/fully autonomous ocean sensors and sensing platforms are developed and explored. Course provides both theatrical and hands-on learning. Laboratories develop experience in operating sensors/sensor packages, in oceanographic applications. *ENT4954 Global Competition: Emphasizes unique economic, market, and political risks faced by organizations as operations expand beyond domestic borders. Discusses establishing risk profiles to analyze new labor, product, capital markets on a global scale and appropriate market entry strategies. Small teams will do a risk profile and recommend market entry strategies for selected countries. 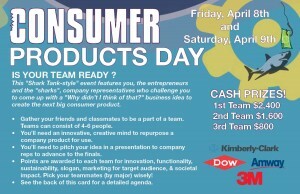 Consumer Products Day and Enterprise Team Challenge! 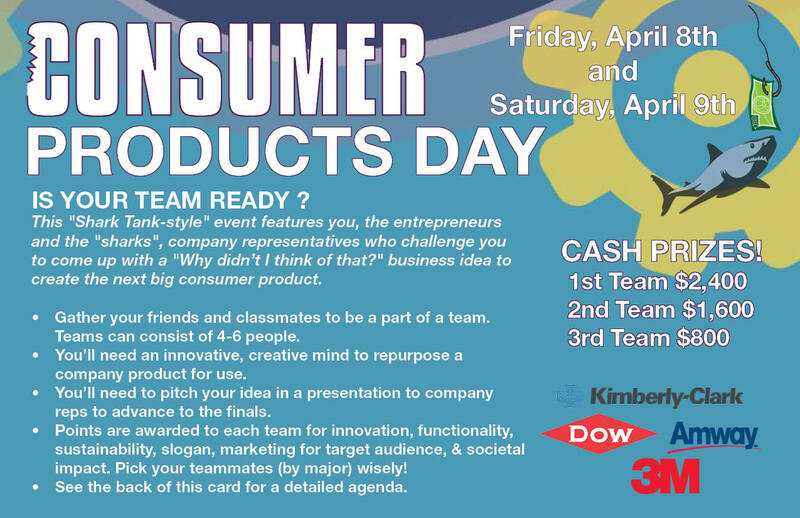 Consumer Products Day is being held on Friday April 8 & Saturday April 9 and we’d like to offer an “Enterprise Challenge” to all other enterprises to create a team for this event. Cash prizes (1st place teams $2,400, 2nd $1,600 and 3rd place team $800) are available to the winning teams. 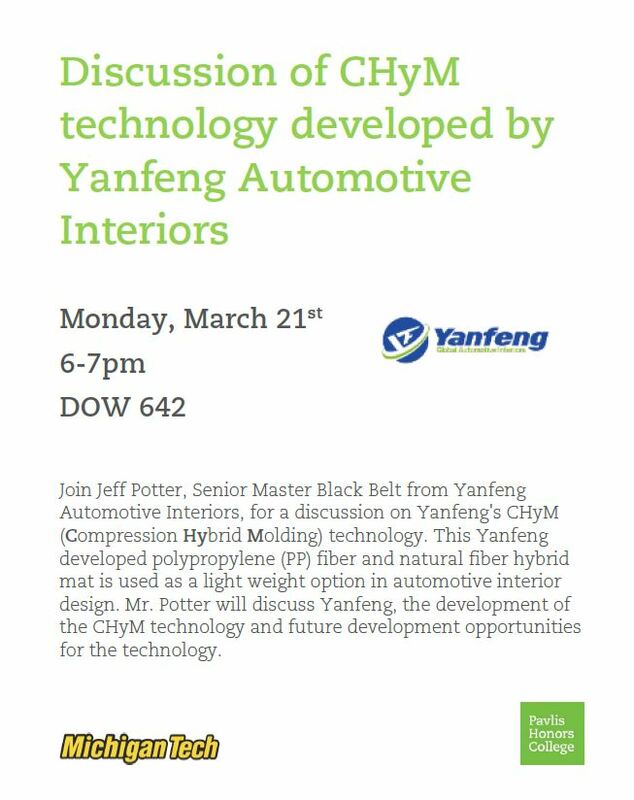 See the attached info for more details or visit our website. 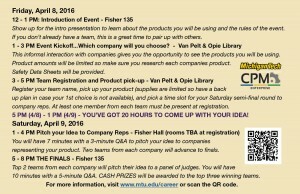 Students work in self-selected teams from a variety of majors and will be given a box of products from company reps to recreate or redesign these products for use in other ways. A great example of this is the Post-it note. It was invented solely by accident (read about it here). 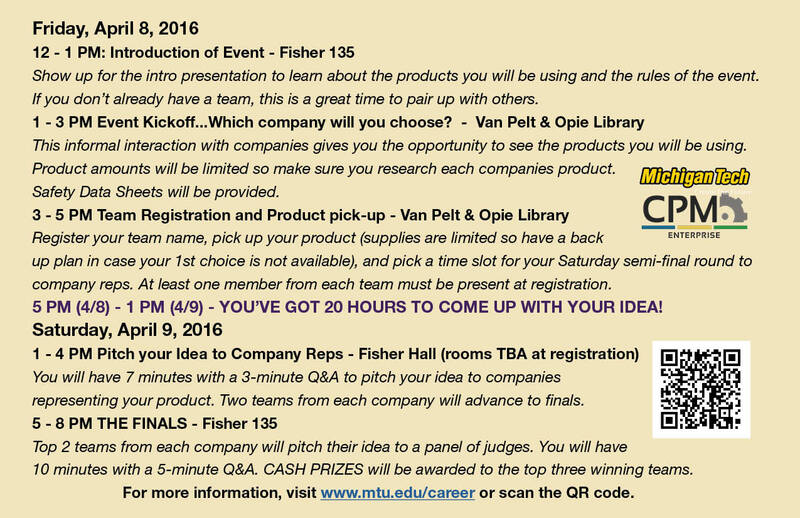 This Shark-tank style event will feature company reps who challenge students to come up with a new business idea from use of their products. 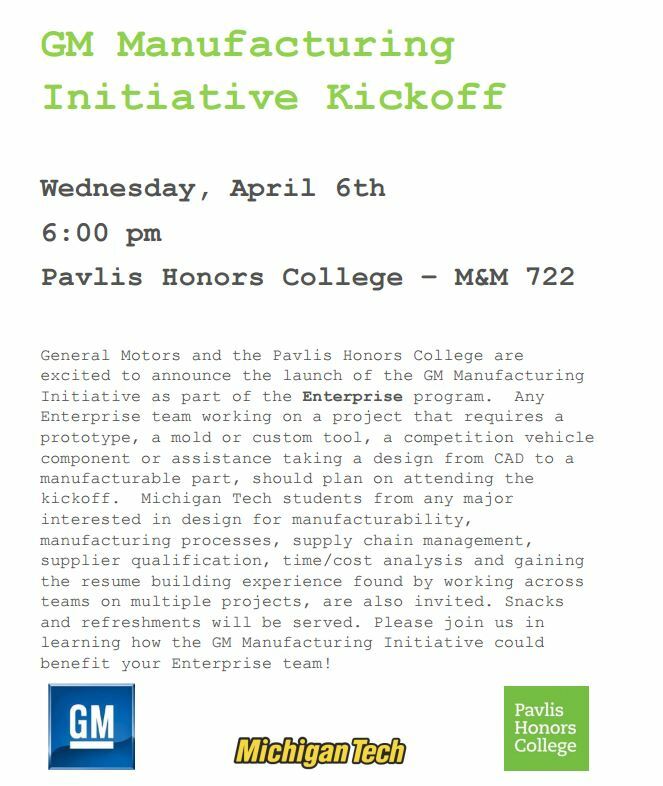 This event, sponsored by Career Services in collaboration with Consumer Products Manufacturing Enterprise (CPM) features four companies on campus for the event; Amway, Kimberly Clark, Dow Chemical and 3M. 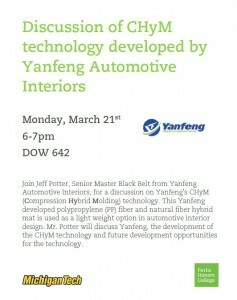 In order to promote the event, we are asking that you share this information with your enterprises. 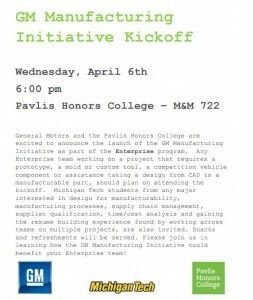 Students from the CPM Enterprise are also available to attend your enterprise meetings for maybe 5 minutes (start or end of meeting) to explain the event to your students. 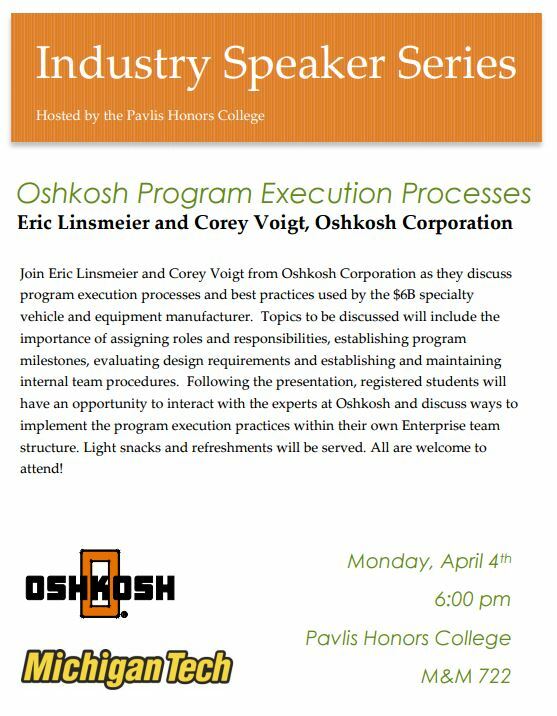 If you are interested in this, please contact Shelley Farrey mafarrey@mtu.edu in Career Services or Matthew Manning mmanning@mtu.edu of CPM Enterprise to coordinate your meeting time.